ApRaXiA mOnDaY: Talking Tunes Music CD & Interview with its Creators! I have really special post today—and I am super-excited to share it with you! 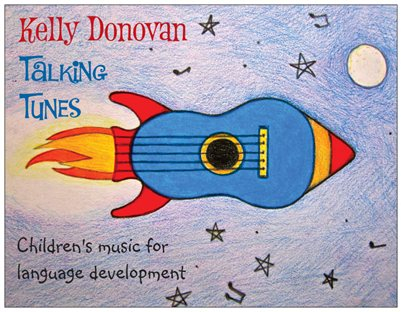 A hearty welcome to Dr. Diane Dynes, CCC-SLP and children’s songwriter, Kelly Donovan and a big congratulation on their compilation of the “Talking Tunes” music CD designed for kiddos with speech-language delays and disorders. Having an 9-year old daughter with resolving CAS, I know first-hand what an asset a fun, music-based approach to speech therapy can be for a child—and her family. With whimsical song titles such as “The Peanut Butter Song,” “Goodnight Sun,” and a favorite—perhaps of all parents—”Pick Up Your Stuff,” you can’t go wrong with Talking Tunes.Leslie Lindsay: Diane, let’s start with you. How did you and Kelly ever cross paths? As a speech pathologist, I collaborated with several music therapists to develop programs for nonspeaking children. In speech therapy sessions, I adapted songs that I found in the children’s music genre to work on speech and language targets. Raffi was one of my favorites. Of course, there were the classic toddler and preschool songs, like “Twinkle, Twinkle…”, that offered practice with signs, gestures and some words. I found myself always listening to music for the potential in a therapy session. Eventually, I recognized the features of songs that benefitted kids that have severe speech impairments, such as repetitions of a single, simple word. Also, I looked for songs that had specific motor speech targets within the lyrics. It was very important that the tune be slower and that was harder to find than you would think. Along with that, I wanted the music for these songs to be high quality and not too many instruments. Unfortunately, I wasn’t completely successful in finding music with all of these features. I heard a recording of a children’s song by Kelly Donovan on Facebook and I was drawn to her upbeat tempo and simple lyrics. It seemed that she had all ready had songs that were conducive to speech therapy practice. We started interacting about music and speech therapy and that is how we crossed paths. L.L. : Kelly, what did you think when Diane suggested a collaboration on the CD? L.L. : And so you got to work writing songs? Can you describe the process? Diane, CCC-SLP: That’s definitely a question for Kelly. I wrote her about kids on my caseload, mostly the severely speech delayed. I guess I never wanted to change the songwriting process. I just wanted to have special parts in the songs that were for the kids in speech therapy. Kelly Donovan: Yes. It was a very involved process. If I showed you the ten-page email that Diane sent me covering the targets of speech therapy she wanted covered in the album it would blow your mind! I was a little intimidated at first, to be honest. But, I always try! I wrote all the songs for speech therapy in the key of C because in research that I’ve read that key easiest for engaging the brain when it comes to learning. There was a biofeedback study that was done with children with ADHD and they responded well to the key of C. When I was at Berklee College of Music I learned that traditionally Northern Indian music was taught aurally, (because the had no formal notation method,) and they learned over drones of C or A, (A is the relative minor to C in music theory, so that makes sense, but I’ll try to be a little less nerdy now.) So, I thought it couldn’t hurt to write these songs in a key that would put the kids in a great mindset for learning. There is only one song that isn’t in C on the album called, “Goodnight Sun.” It was recorded before Diane and I met but it worked for speech therapy so we used it. My process is different for every song. But for most of these I wrote out the lyrics in rhythm first because that was the focus. Then I would send them to Diane to make sure the lyrics would work. If they would then I would write a melody and harmony. A lot of love and thought went into these songs. I always tried them out on my own kids who are the meanest little critics. My four year old told me when he didn’t like one song I wrote, “You are doing this wrong, mommy. Let’s have food now.” Every single time I wrote something I thought of the parents and the families who would have to hear these songs. It’s not just the child with a speech delay that will listen. If there are other children in the family who don’t have a speech delay I want the music to be just as engaging for them. When I took on this project I listened to a lot of speech therapy music. In listening to it I felt that it was very educational and that it FELT very educational. That’s not a bad thing, but when I wrote “Talking Tunes” I wanted the music to feel like it was a lot of fun. I liken this album to hiding vegetables in your kid’s dinner. They eat it and they love it and they have no idea how good it is for them. That’s what I wanted. L.L. : Diane, with your experience in speech-language disorders, did you have song ideas in mind? Can you elaborate on how you use music work to accommodate speech-delayed kiddos? Songs incorporate “groups of twos & threes”, providing the child with a speech delay several opportunities to join in as well as more practice with target words. L.L. : When it comes to apraxia (CAS)—which is a big one here on the blog—what can you expect in terms of gains with the use of music-based therapy? What examples from the CD will target this particular disorder? Diane, CCC-SLP: Most of the songs on “Talking Tunes” are slower so the child with apraxia is more likely to participate especially because the words are often ‘echoed’ or repeated. This gives our kids with slower motor speech response time a better chance to participate. There are several songs that address early emerging motor speech sounds for children CAS. for children with apraxia. I suggested words from the Kaufman Apraxia Treatment Kit for Kelly to use in the lyrics and also added some of my favorites. “The cars go BEEP, BEEP, BEEP. The birds go PEEP, PEEP, PEEP….. The frogs go HOP, HOP, HOP and the feet go TAP, TAP, TAP…” The words that are in groups of threes are all Consonant-Vowel-Consonant and use only early emerging sounds (p, h, t). Also, there are two songs that are on the CD that offer great vowel practice. “Fly to the Moon” and “I am a Tree” give both listening and speech practice with vowels /oo/ and /ee/. It is really helpful that Kelly holds the /ee/ in “tree” and “be” giving the child plenty of chance to try the vowel. I think it is important that we talk about the listening component as well. At our state conference this year in Ohio, there was a presentation about the need for auditory bombardment with children that have CAS. I think that these two songs offer that. Finally, the song “Uh Oh” is a favorite on many levels because of the motor speech targets “uh oh” and “oh well” as well as the message of the song. Kelly wrote the song to address children’s feelings and the interactive phrases just happened to be typical phrases practiced with kids that have CAS. There is a resource guide to go with the CD called “Targets for Talking Tunes” and it can be found on my website with other supplemental materials. L.L. : Kelly, what is your understanding of what kids want from music? Kelly Donovan: Kids want you to challenge them in the music you offer them more than a lot of people think. I write in many different styles and kids love all of them! Just on “Talking Tunes” there are songs in several different genres, like jazz, reggae and rockabilly. They like layers of sound. It’s all in how you present it to them. I like to have the songs fully produced and write vocal harmonies because children really do listen to those things. Once they hear the harmony or a different instrument in one place they start to hear more possibilities in other parts of all music. A lot of the time we, as adults like to see kids enjoying themselves and when it comes to music we look at that as the success of the music. That we can physically see the child enjoying it. But we don’t always have to see it. They don’t always have to be dancing around to the music to be getting something really fantastic out of it. Different children process music different ways. I’ve seen children just stand and listen and I know they love it as much as I do. I think almost always what children want is for you to let them surprise you with who they are. We are always getting to know our kids. They’re always changing and growing. L.L. : Can you share some challenges of developing the CD, and how about some insights, humor, too? Kelly Donovan: The biggest challenge has been time. This has been a long process and a lot of work. I am exhausted. I have been working on writing, arranging, recording, marketing, CD art, CD pressing and all the back and forth that goes with that. And that’s just for this album! I’m halfway through recording another album focusing on emotional development with corresponding music videos. That’s due out in the Fall. I have two 4 year olds, (not because they’re twins, just because they’re 10 months apart and they both happen to be 4 right now,) my home looks like I’ve been hording unfolded laundry for the last 6 months and I sleep somewhere between the hours of midnight and 7AM, but never all of those hours. There’s got to be some humor in there somewhere! It was challenging just because I’m a parent of two small children who really need me RIGHT NOW and if I don’t put the wheel back on my son’s dump truck RIGHT NOW the world may be at risk for a crisis of apocalyptic proportions!!! In all of this I have learned that social lives are overrated and that I have chosen really wonderful, patient people to work with. L.L. : How can parents, SLPs, music therapists, and school teachers get a hold of TALKING TUNES? The hard copies of the album will be available through Amazon and ReverbNation next month. But the digital download is available now! 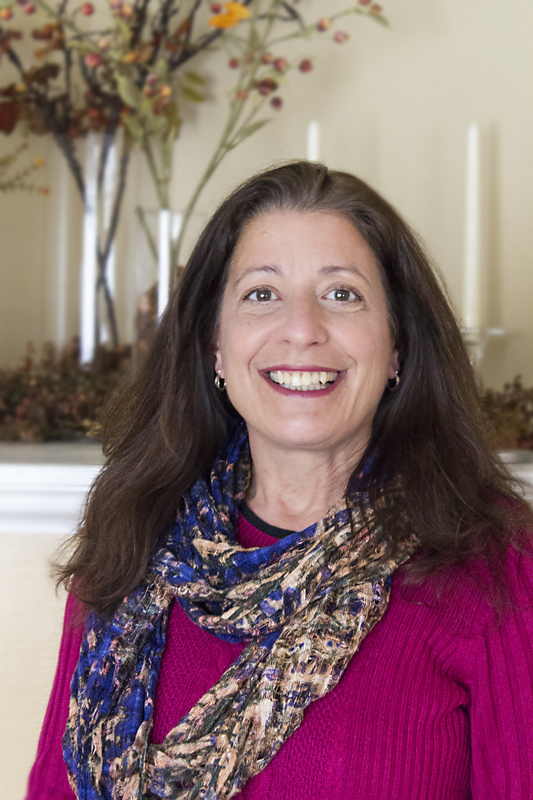 Bio: Diane Dynes, PhD, CCC/SLP-L: Diane Dynes received her Doctorate in Communication Sciences and Disorders from the University of Cincinnati, OH and her Masters in Speech and Hearing Sciences from Miami University, Oxford, OH. She maintains a Certificate of Clinical Competence from American Speech and Hearing Association (ASHA), is licensed in the State of Ohio and holds a Speech Therapist Certificate with the Ohio Department of Education. Dynes specializes in severe speech delays and has been awarded grants for working with nonspeaking children. She served on committees of the Ohio Speech Hearing and Language Association (OSHLA), was assistant editor for the technology column in the OSHLA newsletter and has presented at numerous state and national conferences. Dynes was awarded “Therapist of the Year” by the Dayton Business Club. Dr. Dynes is an adjunct professor at Wright State University in Dayton, Ohio and she has written articles and conducted research on pediatric feeding disorders, augmentative communication, childhood apraxia of speech and child language. Dr. Dynes is the owner of Speech TherapyWorks, a practice which offers a wide range of clinical services built upon a combination of research-based methodology, time-tested techniques and solid experience. Dynes has been helping clients and families for nearly thirty years and has an impressive record of improving the speech, language and communication skills of babies, toddlers and adolescents. As a respected leader in pediatric communication disorders, her years of practice have taught her the subtle nuances of different childhood speech disorders and the time-tested strategies to overcome these communication challenges. 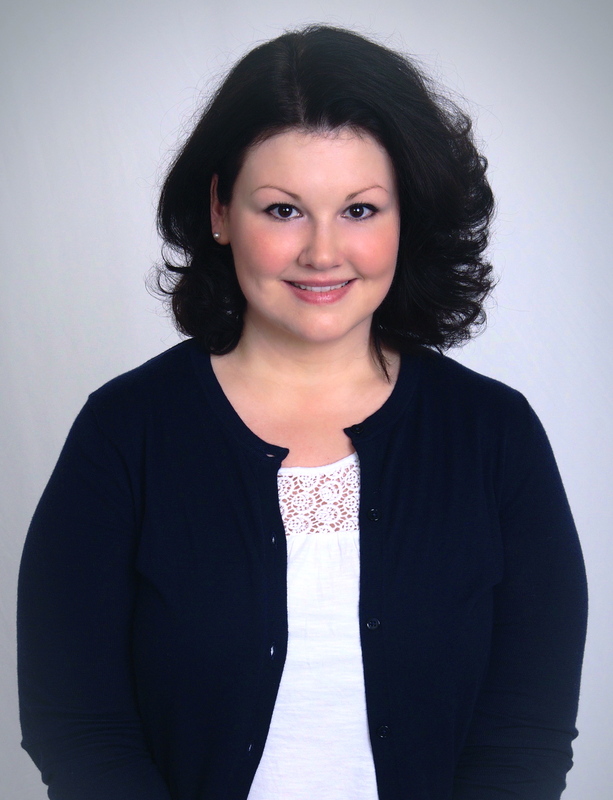 Bio: Kelly Donovan studied piano and voice as a child and began writing music at the age of 14. After receiving her Bachelors of Music from Berklee College of Music in 2007, Kelly pursued songwriting in several genres, receiving awards for her pop music from international songwriting competitions, including The Billboard World Songwriting Contest. In 2009 she had her first child, and she decided to turn her songwriting focus towards children’s music. Kelly writes music for children with a specific focus on therapeutic needs, with many songs centered on feelings and imagination. Can you purchase this CD? I am an SLP that works with children that have hearing loss. This would be grand! How do I order? Hi Teresa! Thanks for your interest. It looks like you can purchase hard copies of this CD and here’s a section from the original 2014 interview indicating how. If this has changed, I’m not aware. “L.L. : How can parents, SLPs, music therapists, and school teachers get a hold of TALKING TUNES? The hard copies of the album will be available through Amazon and ReverbNation next month [original interview posted in 2014]. But the digital download is available now!